It was supposed to be one of the biggest nights of young Josh Jones’ life. Creighton’s senior guard was playing the best ball of his Bluejay career, and he was pumped to be returning to the Bob Devaney Center floor for one last game. After all, this was the court where he became a legend. This was the place where some of his fondest memories had been made, where he and his Omaha Central teammates won 3 consecutive state championships with Jones leading the way. But Creighton had lost both games played in Lincoln so far during Jones’ Bluejay career, and he hadn’t had much impact on the outcome. He couldn’t stand the thought of closing out his run at the Devaney Center on a losing note. This time was going to be different and Jones was pumped. But even as he managed to trade playful verbal barbs with the Nebraska student section, Jones felt something was wrong. “My heart felt like a snare drumroll.” One moment he was taking his place in the pregame layup line, the next moment he blacked out and found himself on the ground. Minutes later he was on his way to the hospital with a heart rate racing between 200-300 beats per minute. His condition stabilized, and his teammates went on to win without him — something that looks like they will need to get used to doing. It wasn’t Jones’ first life and death experience. His father died of an enlarged heart in 2006. Then, during his junior year of high school in 2007, a bacterial infection spread to his own heart. A replacement valve was inserted during emergency open-heart surgery, and playing basketball took a backseat to mere survival. Jones recovered…and then some. He returned to the court and was able to realize his dream of playing major college basketball. Then Creighton head coach Dana Altman had offered Jones a scholarship prior to his illness, and to his credit he kept his commitment. Frequent checkups had cleared Jones, and he hadn’t experienced any setbacks since the surgery. Over five years had passed without any complications…until a couple of weeks ago in Lincoln. Technically what he is going through is called an atrial flutter, an abnormally fast beating in the heart’s upper champers. There is no consensus on whether his ailment is related to his past issues or even related to playing basketball. The doctors don’t really know what triggered it at this point. He underwent a procedure Tuesday using radio frequency energy in an attempt to correct the problem. In a month, doctors will go back in and see if their handiwork was successful. At that time a decision will be made as to whether Jones can resume playing ball. “Honestly, right now I’m scared to be at a high level (heart rate). I really can’t speak on my future,” said Jones. 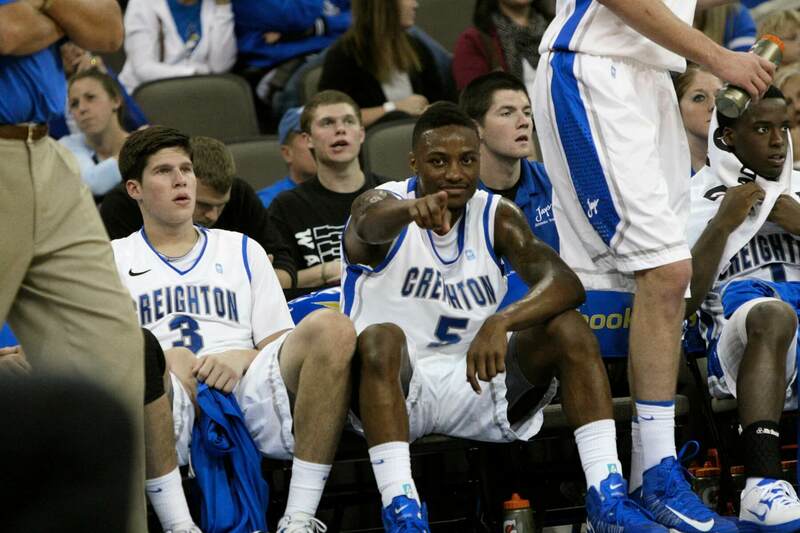 For the moment, he is determined to still have an impact off the court for the 16th ranked Jays. So while Jones’ big smile remains, his pain lurks just below the surface.